So, you’ve just had your windshield replaced. Good for you! 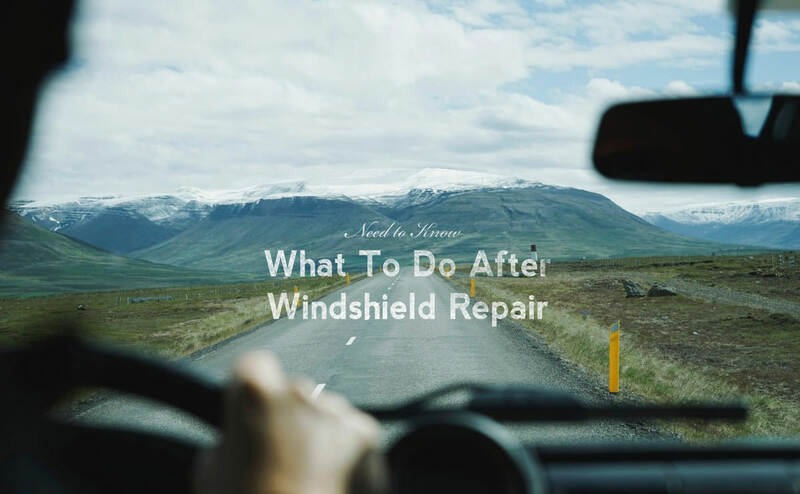 Your windshield is a critical part of your vehicle’s overall safety, so having damaged glass repaired or replaced is a smart thing to do. Now that you’ve had the glass fixed, there are a few things that you can do to help ensure that the glass stays in good condition for years down the road. Carefully and thoroughly check the new glass for cracks, leaks, or other signs of damage. No qualified repair specialist would be insulted or offended by a vehicle owner taking the time to check their work. After driving for a few days, check the glass again just in case any new problems have developed. A new windshield will be attached to your vehicle by a urethane sealant. The length of time it takes for that sealant to cure depends on local conditions and the precise sealant used, so if you are advised to wait a few hours before driving your car, it is very important that you do so. It would also be a good idea to wait a few days or even a week before applying stickers to the glass or exposing the glass to stressful conditions, such as an automatic car wash. Take a minute to talk to your repair specialist about proper maintenance procedures. A little prevention will go a long way. Driving carefully and avoiding situations that put your car at risk are the best ways to prevent damage. Try not to park near parks where a stray baseball may ruin your new windshield. Also avoid driving too close to the vehicle in front of you, especially on the highway or in gravelly conditions; kicked up rocks can easily chip and crack your windshield. Covered parking is best, but if that isn’t an option, try to park somewhere without trees overhead that could leak sap or send branches down onto your vehicle. Replacing damaged glass is a priority. Small chips can be repaired, while larger cracks may warrant a full replacement. Give us a shout if you have any questions about the process, we are always happy to help.